Have you ever removed your shoes to rub a sore area on your foot and felt a bump? This is likely a corn. Although not a serious condition to most people, it can give you pain and discomfort while standing and walking. Before you run, gently, to the doctor or pharmacy, there are home remedies for corns on feet you may want to try. If you suffer from blood circulation problems in the feet due to diabetes or another condition, see your doctor. Otherwise, we will look at how to get rid of corns on feet at home. So, what does a corn look like? Corns can appear as small, round lumps of thickened skin on the bottom and sides of your feet or on your toes. In some cases they can be found on other parts of your body, often referred to as calluses. They are caused by pressure or friction on the area by wearing tight shoes (especially high heels), no socks, and even walking barefoot. If your work calls for standing on your feet for long time periods or manual labor, you are at high risk for getting corns. They develop from doing any activity that causes excessive pressure on your feet, like sports. Other risk factors include foot or toe abnormalities, bony prominences (bunions), and improper gait. The best form of corn on foot treatment is allowing the corn to heal naturally without the use of friction sources. This is not usually an option as we need to carry out our daily activities. The market is flooded with various treatment options such as ointments and corn caps. We will look at some natural treatments recommended by Top 10 Home Remedies and others, which may help you get rid of the corn on the bottom of your foot without leaving the house. Soak your feet in hot water for 10 minutes before using a pumice stone to gently massage the corn for a few minutes. This will remove the hardened dead skin to relieve the pain. Dry your feet before applying a cotton ball soaked with castor oil to the corn and securing it with tape for the overnight. For the next several days, apply the oil to the corn every few hours. The corn will heal and disappear on its own. Soften the harden corn with the citrus acid of a lemon. Simply apply the juice on the corn three times a day and allow to naturally dry. You could also combine one tablespoon of lemon juice with two cloves and let it sit for 15 minutes. Remove cloves and apply juice to corn. Repeat every few hours. Or create a paste to apply overnight with one teaspoon of yeast and a few drops of lemon juice. Hard to believe, but the popular headache tablets contain a substance that can loosen up the dead skin on your feet: salicylic acid. The acid works by dissolving the excess keratin that makes up the corn. 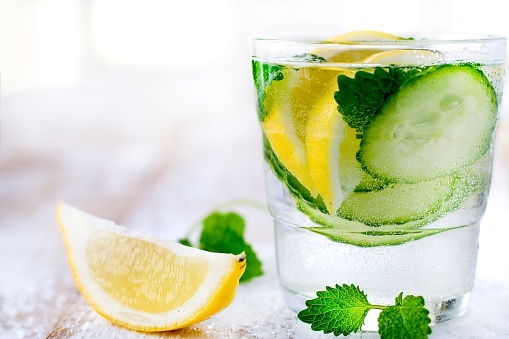 Simply crush five tablets and combine with ½ teaspoon of lemon juice and ½ teaspoon of water to form a paste. Apply to the affected area and wrap the foot with a heated towel for 10 minutes. After removing the towel, wipe away the mixture and use a pumice stone to gently massage the corn. Baking soda has antibacterial and antifungal properties and acts as a natural exfoliating catalyst. Soak your foot in warm water with two to three tablespoons of baking soda for 10 to 15 minutes. Exfoliate with a pumice stone and repeat process once a day until the corn is healed. You can also make a paste with one teaspoon of the baking soda, a few drops of lemon juice and water and put on the corn before applying a bandage for overnight. Rinse off the paste in the morning and use pumice stone on affected area. 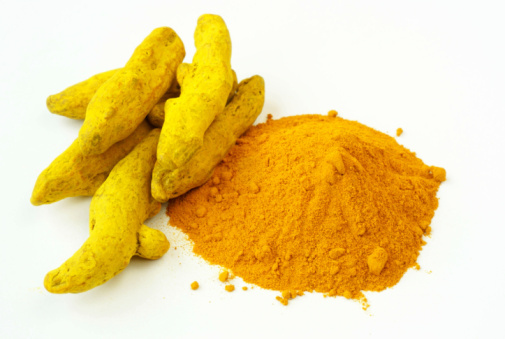 With its anti-inflammatory component, turmeric is a wonderful healing tool. Apply a paste of one teaspoon of turmeric powder and honey and left it to dry. Repeat two to three times daily until corn disappears. You can also create a mixture of ½ teaspoon of turmeric and one teaspoon of aloe vera gel for an overnight treatment. Use a pumice stone the next morning and apply moisturiser. The enzymes in the peel of a pineapple may help soften corns. Apply the inside portion of a piece of the pineapple peel directly on the corn and cover overnight with a bandage. Wash it in the morning and apply coconut oil. Continue to do this every day until the corn comes out. To speed up the corn removal, use turpentine oil for its antiseptic properties. Massage corn with a towel containing ice for two minutes before applying the oil. Cover with a bandage for overnight protection. Repeat each evening until the corn is gone. You could also create a paste of ¼ cup of softened extra-virgin coconut oil, one tablespoon of turpentine oil and two tablespoons of camphor oil. After soaking the affect foot in warm water, apply mixture two to three times each day until the corn is healed. White vinegar, like baking soda, has antifungal and antibacterial components to prevent infection as the corn heals. It also softens the corn with its high acidity level. Apply a mixture of one part vinegar and three parts water to the corn and cover before bedtime. In the morning, exfoliate using a pumice stone or emery board before applying olive or coconut oil on the corn. Repeat this every day until it disappears. Using raw papaya will not only speed up the removal and healing process but will also reduce pain and discomfort. Using the juice from a grated papaya, soak a cotton ball and secure to corn with tape for overnight. In the morning, use a pumice stone to exfoliate and repeat process until corn is gone. Licorice has been used for many years for its medicinal and healing properties. Create a thick paste with one tablespoon of licorice powder and mustard oil to apply overnight, covered with a bandage. Remove the paste in the morning with warm water. Repeat until corn shrinks and becomes soft. 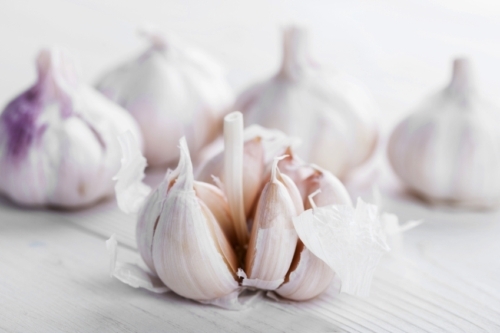 Prevent infection with garlic’s antifungal and antibacterial properties while benefiting from its antioxidant component. One overnight option is to rub the corn with one half of a garlic corn and cover with a bandage once air-dried. Wash the foot in warm water the next morning. Repeat until the corn disappears. You can also apply a paste of garlic cloves and salt to the corn and cover with a bandage for three days. The corn should fall off naturally. Another paste mixture has two garlic cloves and a few drops of vinegar applied to affect area. Cover for a few hours and clean corn. Do this for several weeks each day. A few other treatments to ease the discomfort of corns include soaking the feet in Epsom salt baths, covering the corn with padded bandage, and using coconut oil; olive oil; or cocoa butter moisturisers to soften the hard corn. Never cut or try to remove corns with a razor or knife. To prevent corns, avoid wearing flip-flops and walking barefoot, wear shoes that fit you properly, maintain trimmed toenails, and clean feet every morning. Corns can be unsightly and embarrassing, but mostly they can be painful and cause great discomfort. Don’t let corns stop you from enjoying your daily activities. Try these at-home remedies and remember it can take up to several weeks to remove a corn. If any of the remedies do not work for you, or you are diabetic, see your doctor for treatment. “Home Remedies for Corns on Feet,” Top 10 Home Remedies; http://www.top10homeremedies.com/home-remedies/home-remedies-corns-feet.html, last accessed February 16, 2017. “Understanding Corns and Calluses — the Basics,” WebMD; http://www.webmd.com/skin-problems-and-treatments/guide/understanding-corns-calluses-basics, last accessed February 16, 2017. Stoppler, M.,“Corns,” Medicine Net; http://www.medicinenet.com/corns/article.htm, last accessed February 16, 2017. “How to Get Rid of Rough Feet with Aspirin,” Leaf TV; https://www.leaf.tv/articles/how-to-get-rid-of-rough-feet-with-aspirin/, last accessed February 16, 2017.